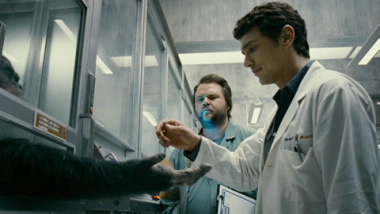 Several popular blockbusters, including I Am Legend and Rise of the Planet of the Apes, have envisioned the use of viruses, rigged to deliver therapeutic DNA to patients as a way of curing disease. In these films the scientists using these techniques are ecstatic when they discover that they’ve been successful, but their joy quickly turns to horror as the virus mutates out of control and begins to destroy the human population. This is undoubtedly a nightmare scenario, but how close do these films come to the truth? Can viruses, commonly known to cause disease, actually be used as a cure? How likely is it that they will mutate out of control and destroy the world? If this is the case, then why are they being used at all? Viruses are responsible for a range of diseases, including the common cold, influenza, HIV (Human Immunodeficiency Virus) and Ebola. The sole selfish function of a virus is to infect a host (e.g. a human) then use this host to make more copies of its own DNA. It does this by entering a host cell and hijacking its DNA-making machinery, forcing it to make more viral DNA. However, it doesn’t stop there. Once the host cell has made sufficient viral DNA the virus then commandeers the host cell’s other machinery to create more intact viruses which “bud off” from the infected cell ready to infect its neighbours. So, if viruses are so deadly and infectious can they seriously be used to cure disease? Surprisingly, the answer is yes. The use of viruses to deliver new DNA to human cells is being investigated as part of a technique known as Gene Therapy. Certain diseases, such as cystic fibrosis, are caused by known defects in a single gene. The idea behind gene therapy is to fix damaged DNA. This can be achieved by either swapping the defective gene for a working one, repairing the damaged gene by mutating it back to a healthy form or by “switching off” the defective gene. Viruses are being investigated as carriers or ‘vectors’ for delivery of new, undamaged, DNA. However, gene therapy cannot offer a miracle cure for all known disorders. In fact it is only a feasible treatment for disorders stemming from a small number of recognised genetic mutations. Therefore, the idea of a single gene therapy functioning as a cure for Alzheimer’s or all known cancers, as seen in the movies, is purely fictitious! A typical virus consists of a viral-coat (like the skin of a balloon) enclosing DNA and a small number of proteins. In gene therapy, the virus is modified so that its DNA is replaced with DNA required for the therapy. The virus is then injected into the patient where it targets and infects cells, replacing damaged DNA with the new healthy DNA. The part of the virus which allows it to replicate has been removed, meaning that whilst the virus retains the ability to infect cells and alter DNA, it has lost the ability to replicate itself and infect neighbouring cells (this infectious ability is called virulence). 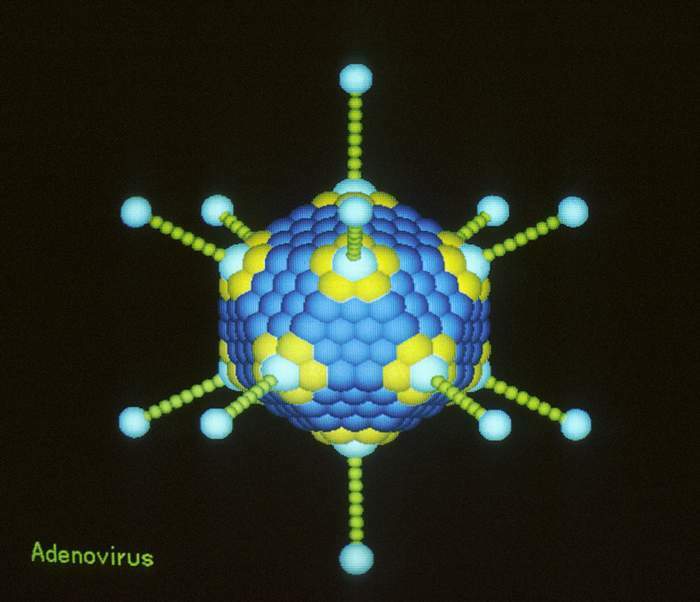 Viruses which are currently being investigated for use in gene therapy include: adenovirus (responsible for the common cold), retrovirus (HIV is a retrovirus) and Herpes Simplex virus (as the name suggests, is responsible for herpes infections and also cold sores). Part of the appeal of using viruses in gene therapy is that they may be used to target healthy DNA to specific cell types. This can be achieved by manufacturing viruses which can recognise and infect only certain types of cell. This means that “innocent” cells which are not expressing the disease-causing gene should not be infected. 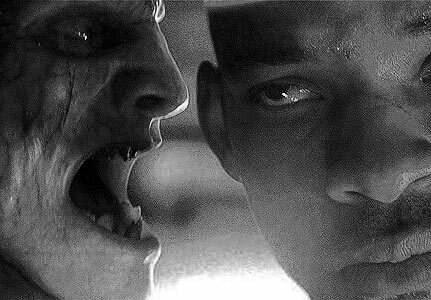 In the films, the therapeutic virus mutates back to its virulent form, or an even more virulent one. It then spreads a fatal disease throughout the population, causing a global catastrophe. One of the concerns about using viruses for gene therapy is that this nightmare scenario might come true. This possibility is currently under intensive study within controlled research environments. Although current research has found that recombination and a return to virulence may be possible for certain viruses, this may not be the case for all viral vectors used in gene therapy. However, if this technology is proven to pose a real risk then such research will likely be discontinued. There are also other problems with using viruses as DNA carriers. The introduction of any foreign material into the body is likely to produce an immune response. The surface of the viral-coat is not smooth, it actually expresses a number of extruding proteins which may be recognised by a patient’s immune system. This means that the host’s immune system may recognise the foreign body and attempt to dispose of it. Strong immune responses can be fatal, especially in someone already weakened by a genetic disease. This problem could, in theory, be circumvented by removing proteins and other foreign bodies from the outside of the virus to lessen the chances of it being recognised as a foreign object. Currently, gene therapy using viral vectors is not approved by the U.S. Food and Drug Administration (FDA) since concerns have arisen surrounding the deaths of two patients participating in gene therapy trials. One died of a severe immune response to the viral carrier. The other appeared to develop leukaemia, leading to fears that viral vectors may cause cancer. There are alternatives to using viruses for gene therapy. One option is to use liposomes, small balls of lipid (fat droplets found in the cell membrane) which contain the DNA needed to fix the gene. These shouldn’t produce an immune response since liposomes are made from materials found naturally in cells. 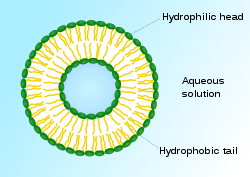 However, the disadvantage of liposomes is that they can’t target specific cell types. Another alternative is to simply inject the DNA directly into target cells. The advantage of this is that it won’t cause an unwanted immune response. However, injecting DNA is an immensely tricky process and may only be possible with certain types of cell. Also, since this ‘naked’ DNA does not integrate well into cells, it may not be expressed as reliably as DNA delivered by other methods. So how likely is it that in the future viral vectors will be used to help cure disease? Although the process is still in its infancy and concerns over its feasibility need to be addressed the principle is promising. Indeed, there have already been some positive steps towards implementing these techniques! In 2008, a group at University College London (UCL) used gene therapy to successfully improve the sight of a patient with the eye disease Leber’s congenital amaurosis. The patient suffered no adverse effects since the study used an adeno-associated virus, a strain which cannot replicate itself without the addition of a partner virus. The adeno-associated viral DNA also usually inserts itself into a specific region in chromosome 19 (whilst insertion from other viruses may be random), meaning it is less likely to interfere with other functional DNA. Therefore there is still hope that viruses can be used as vehicles for gene therapy. If current problems can be overcome, it may prove to be a revolutionary method for treating ‘single-gene’ diseases. Indeed, it is unlikely that viruses will cause the apocalyptic effects seen in these films, since any reversion to virulence is likely to be caught long before it infects the general population. But that wouldn’t make for such entertaining viewing would it? Parasitic worms: Friend or foe? Both references requires password to look at them. Interesting article. My question is, can you use multiple viruses to target and fix diseases cause by multiple genes?